From Jan 31 to Feb 2, The Bellevue College music department will be hosting the 23rd annual Jazz Band Festival. 40 high school, middle school, and college jazz bands will be there. Of the 40 bands attending, 3 of the high school bands from the Northwest have already been to the illustrious Ellington Festival. There will be 4 concerts performed from Jan 31 to Feb 2. The first night will be the college performances. Then on Feb 1 the middle school bands will perform. On Feb 2 there are two concerts. The first concert is from 8 a.m. to 5 p.m., and will feature high school bands. Then at 8 p.m. the festival will culminate in a concert featuring the best performances from each night. “Just for the last few weeks we’ve been focusing on the music we’re going to be playing,” said music instructor Jim Sisko. For the last event of the Jazz Fest, the best players will play alongside famous jazz musician Ashlin Parker. “I met him a few years ago on a trip with the Bellevue College big band in New Orleans. I saw him in a club down there, and he’s an amazing trumpet player. He will be doing master classes for the whole week,” said Jim Sisko. 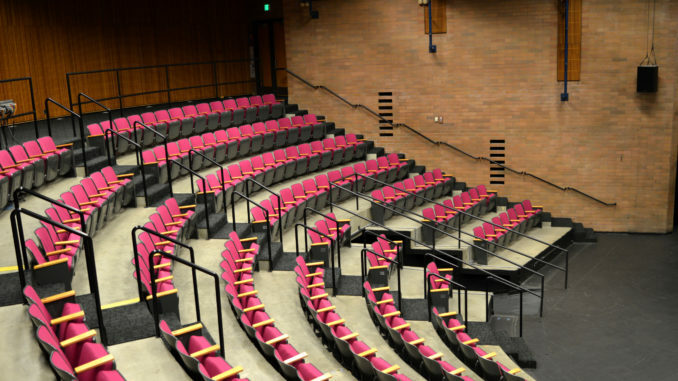 If you want to catch a session, they will be performing in the BC Carlson Theater.